The most recent press statement carried on the Pemex website about its Gulf of Mexico disaster in which four workers were killed and many more injured was issued yesterday morning and apparently last modified at 15.39 in the afternoon. There has been nothing posted since that I can see. The April Fool’s Day statement reads: “Early this morning (now yesterday morning) the dehydration and pumping area caught fire in the Permanent Abkatun platform in the Bay of Campeche. “Pemex’s Emergency Response Plan was immediately put in action and approximately 300 workers were evacuated and transferred to other platforms in the area. “It is with deep regret that we inform the death of a worker from the company Cotemar. Etcetera, not that there was much more. I’ve searched the English language version of Pemex’s website and I cannot find any other update, ergo zero reference to the fact that there are now at least four dead, and that was splattered across numerous headlines last night. Moreover, it was reported that there were nearer 50 other people hospitalised with injuries. We do not know whether the platform, which handles around 40,000 barrels of oil per day and which has an array of gas flares, has been properly shut down, though the fire has been extinguished. Apparently there is no significant pollution, which suggests that all production wells may have been shut in, but that’s not clearly stated, at least not as far as I can ascertain. What does this lack of hard and up-to-date facts on its website tell us about Pemex and its management, I wonder? Once this latest offshore tragedy has been contained and answers sought as to why the Abkatun platform suffered a major fire, I can imagine that a number of heads may roll. How senior? I don’t know. Big bosses everywhere seem relatively immune from being fired and thoroughly disgraced, unless they are Chinese or Japanese. The explosion on Wednesday appears to bring the total number of those killed in fires at Pemex facilities to 64 in less than three years. In 2013, at least 37 people perished in a gas explosion at corporate HQ in Mexico City. Another 26 died at a gas plant explosion in 2012, while 22 were killed in 2007 in an accident on an oil platform; I presume in the Bay of Campeche as that is the primary centre of offshore activity. In one of the worst accidents in memory, a blast at a liquid petroleum gas plant on the northern outskirts of Mexico City in 1984 killed at least 650 people. 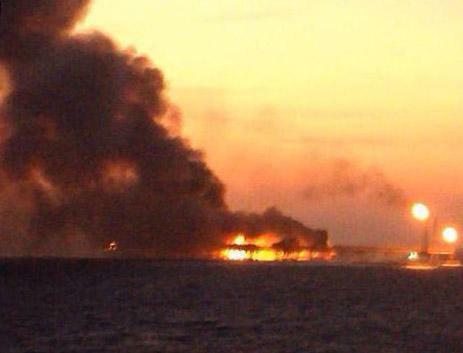 Which begs the question: Is this week’s disaster Mexico’s Piper Alpha, or Montara, or Macondo? In a way it is all of these. It is Mexico’s warning that Pemex has to get its act together. I’ll warrant that the lack of an effective safety culture lies at the root of Abkatun as it did with Piper Alpha, Montara and Macondo. Piper Alpha (July 6 1988) killed 167 offshore personnel and tripped a revolution in safety on the UK Continental Shelf; but the industry knew full well before Lord Cullen completed his inquiry into the disaster and made his 113 recommendations what had to be done. The evidence is clear enough … $billions were spent collectively by various operators on getting their respective acts together ahead of the Cullen Report being published. As for Montara, this is the disaster that few talk about. It was barely reported by the media and was overshadowed by the months earlier Macondo (Deepwater Horizon). Montara is located in the Timor Sea, off the northern coast of Australia, and out of sight and mind of most of the Western world and its media. There was a blowout on the Montara wellhead platform on August 21 2009 and subsequent oil pollution which was not contained for 74 days. On November 1 2009, during an attempt to stop the leak, a fire broke out on the West Atlas drilling rig. A further rig, West Triton was brought in and Montara was eventually contained. Work to safely remove the West Atlas drilling rig from the wellhead platform started in August 2010. What differentiates Montara from the other three disasters is that no-one was killed. Field operator PTTEPAA announced a major transformation of its Australian drilling operations in November 2010 following the release of the Australian Government’s Montara Commission of Inquiry report into causes of the incident. Heads rolled. Turning to Macondo and the Deepwater Horizon that was drilling for operator BP, it is recorded that there had been previous spills and fires on the rig. Indeed the US Coast Guard had issued pollution citations 18 times between 2000 and 2010, and had investigated 16 fires and other incidents. It seems that the previous fires, spills, and incidents were not considered unusual for a US Gulf platform and were not connected to the April, 2010 explosion and spill. Deepwater Horizon did, however, have other serious incidents, including one in 2008 in which 77 people were evacuated from the semi-submersible when it listed and began to sink after a section of pipe was accidentally removed from the rig’s ballast system. As for BP’s Macondo well, the operator knew in 2009 that there were problems and in March 2010, prior to the disaster, the rig experienced difficulties including, it is said, sudden gas releases, a pipe falling into the well, and at least three occasions of the blowout preventer leaking fluid. A confidential survey commissioned by Transocean weeks before the explosion states that workers were concerned about safety practices and feared reprisals if they reported mistakes or other problems. 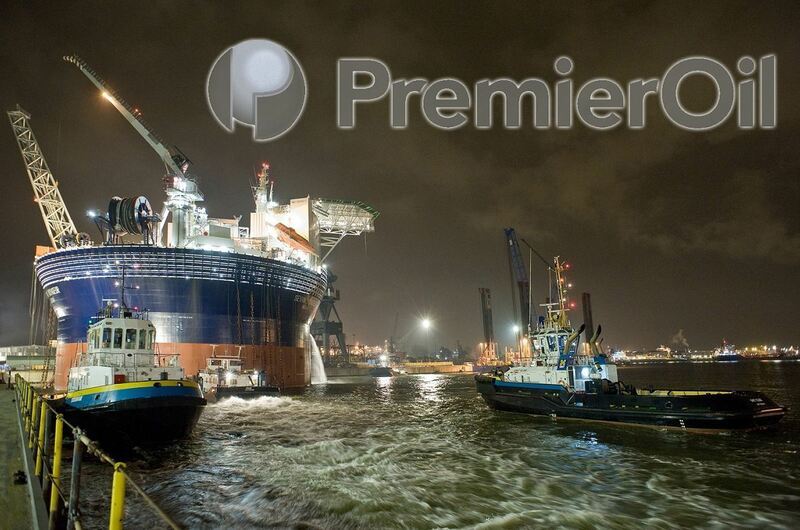 On the day the rig exploded … April 20, 2010, there were 126 people on board. Eleven perished in the massive conflagration. The rig sank several days later and there was massive pollution. The huge fines subsequently imposed, not least on BP, demonstrate how wonting the operator and various of its contractors, including rig owner Deepwater Horizon were. An interesting twist is that, on April 21, 2011, BP filed $40billion worth of lawsuits against Transocean, cementer Halliburton and blowout-preventer manufacturer Cameron. BP’s chief executive, Tony Hayward, who “wanted his life back” resigned on July 27 2010 before he was pushed. He claimed he had been “demonised and vilified”. And so back to the Pemex disaster … the latest blot on Big Oil’s copybook. This one has just started. We don’t know how it will conclude. But it is crystal clear to me that the Mexican government and Pemex absolutely must get their acts together over offshore safety regardless of who gets fired or falls on their sword. What happened on April Fool’s day is totally unacceptable.